WorldMovieStore - Immortals Sinopsis. 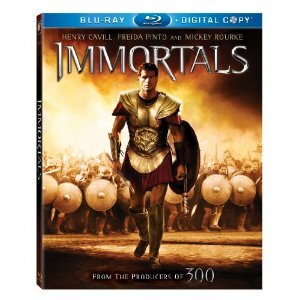 Immortals is plain and simply a fun take on Greek mythology. After the Gods fail to answer his prayers, King Hyperion searches for the Epirus Bow in order to release the Titans and destroy the human race. Sure, the story is thin and the dialogue isn't groundbreaking, but man did those fight scenes deliver the goods. What a beautiful display of visually gory bliss. Darth Vader looks like a nice leader in comparison, because if you fail this guy, you will die in a very unpleasant manner guaranteed. Read More Sinopsis. 0 Response to "Blu-ray Release Immortals"